We are writing from the Palestinian Bar Association, representing 10,300 lawyers, and the Palestinian Federation of Unions of University Professors and Employees (PFUUPE), which represents more than 6,000 Palestinian university staff at 13 institutions of higher education in the occupied Palestinian territory, to urge you to move the planned European Society of International Law (ESIL) Research Forum at Hebrew University outside of Israel. We are, quite frankly, shocked that ESIL, an organization committed to the study and promotion of international law, would consider holding a scholarly event at an academic institution that is directly complicit in Israel’s grave and ongoing violations of international law. We echo the statement of the Palestinian Human Rights Organizations Council (PHROC), comprised of ten of the most prominent Palestinian groups advocating for human rights based on international law, condemning ESIL’s decision as “affront to the rule of law, and all those who believe in human rights and dignity” and “a ringing endorsement” of Israel’s 50-year military occupation. We are further alarmed at ESIL’s clumsy attempts to remedy what it clearly recognizes as the problematic nature of its decision, including encouraging Palestinian scholars to attend the conference. This demonstrates staggering insensitivity to Palestinian academics and our union members who have witnessed their universities and schools bombed, raided and ransacked by Israel’s military, have endured the indignities of Israeli military checkpoints, and are often denied by Israel the mere right to movement within the occupied Palestinian territory and prevented from travel abroad to further their research or attend conferences. 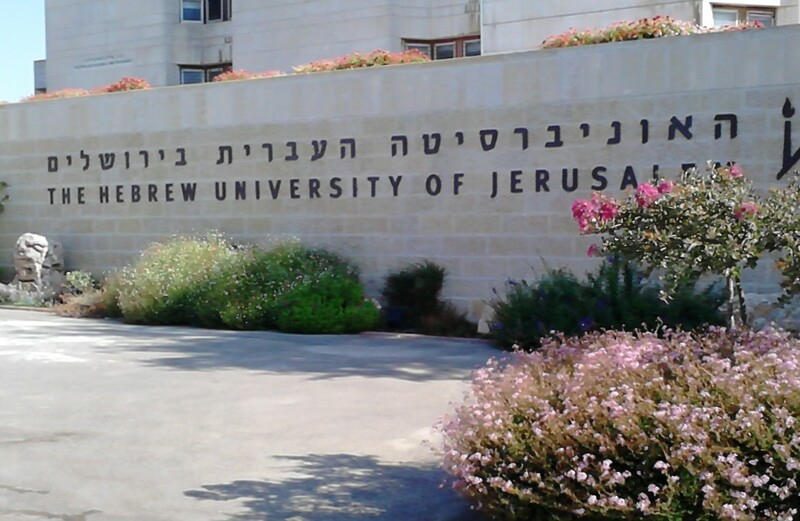 Hebrew University maintains close ties with the Israeli authorities carrying out direct attacks on Palestinians’ right to education, providing special privileges to Israeli soldiers and security personnel and collaborating with the Israeli army in training officers and recruits. This is no place for an international scholarly event on any topic, let alone on international law. Over 100 international legal scholars and lawyers have signed a statement calling on ESIL to reconsider its decision and committing not to participate in the research forum as currently planned. We are aware that a member of the organizing committee for the research forum withdrew last month, stating that “[d]espite the goodwill of all those involved, the very presence of ESIL at the Hebrew University of Jerusalem remains objectively problematical” and that the mitigating measures put in place “cannot take away the fact that for many in Palestine, Israel and beyond, holding our Research Forum at HUJI will serve to normalize and sanitize Israel's colonial policies.” We commend him for this principled decision. We call on you to stand in solidarity with your Palestinian colleagues by moving the event outside of Israel until such time as Israel respects Palestinian rights guaranteed under international law that ESIL purports to promote.